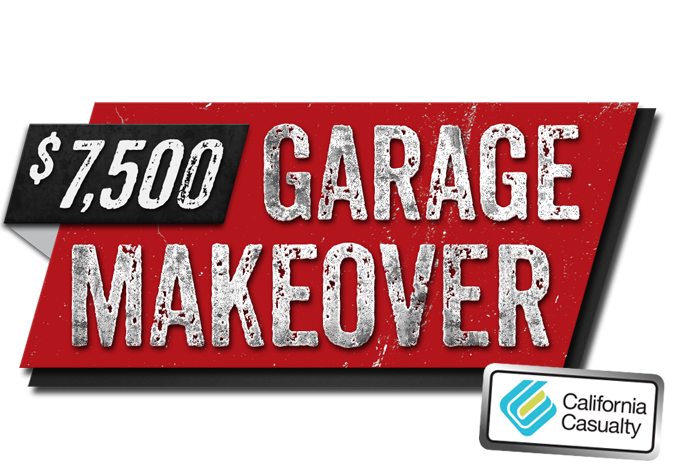 Enter to win a Garage Makeover or $7,500 in cash! Create your ultimate garage, courtesy of California Casualty – the preferred auto & home insurance provider for First Responders across the U.S.
We appreciate all that you do to protect the community. That’s why we’re giving away a brand new garage makeover worth $7500 to one lucky first responder! Let us help you transform your garage into the dream space you deserve, whether it’s a workshop, home gym, or just a place to unwind after a hard day’s work. By submitting this form you are entering our contest and granting us permission to contact you from time to time about our contests, products and services. 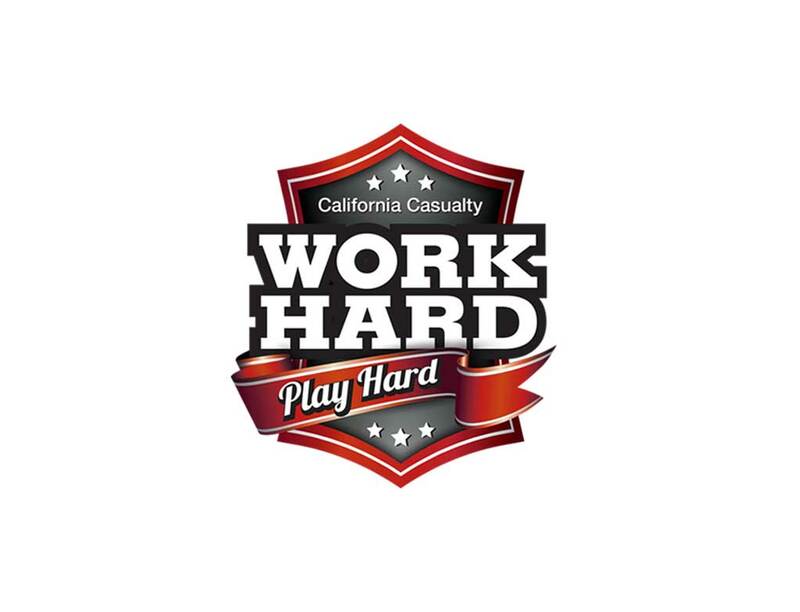 CALIFORNIA CASUALTY MANAGEMENT COMPANY $7,500 GARAGE MAKEOVER SWEEPSTAKES. Entrant must be currently employed or retired as a Peace Officer, Firefighter, Volunteer Firefighter or be an Emergency Medical Technician (EMT). Entrant must be 18 as of March 1, 2019 and a resident of the fifty (50) United States and the District of Columbia. Residents of AK, HI, MA, ME, MI, NC, NY, RI and WI are NOT eligible. In the following states, a resident must be a member of the associated group to be eligible: AZ, CA, CO, KS, KY, IN, IL, IA, LA, MD, MO, NE, NJ, NV, OH, OR, TX, WA and UT. Sweepstakes begins at 12:00:01 a.m. E.T. on March 1, 2019 and ends at 11:59:59 p.m. E.T. on October 31, 2019. A winner will be announced on or around December 1, 2019. Visit this site and fill in required entry information. Individuals may enter this Sweepstakes by filling out the online form only once. More than one entry from any person or e-mail address will void all entries from that person or e-mail address. This Sweepstakes will have one (1) drawing and one (1) grand prize winner. Each entrant selected as a potential winner must comply with all terms and conditions set forth in these Official Rules, and winning is contingent upon fulfilling all such requirements. For the prize, a potential winner will be selected in a random drawing from all entries received on or before the entry deadline. The drawing will be conducted on or about November 4, 2019 by Sponsors, whose decisions are final and binding in all matters relating to the Sweepstakes. Odds of winning depend on the number of eligible entries received. Potential winners will be notified by e-mail or mail on or about November 11, 2019. If a potential winner cannot be contacted within fourteen (14) days after the first attempt to contact such potential winner, an alternate entrant will be selected in his or her place at random from all entries received. The grand prize is a check in the amount of $7, 500 (USD) to be used for a garage makeover by the winner. Sponsors are not responsible for lost or mutilated prizes and none will be replaced. Prize is nontransferable and must be accepted as awarded. No other substitution may be made, except by Sponsors in the event that the prize cannot be awarded for any reason, in which case, Sponsors will provide a prize of equal or greater value. The winner is responsible for all applicable fees associated with the prize chosen by the winner, as well as for all local, state and federal taxes, including, but not limited to, all luxury, special, sales, use and income taxes that may be applicable. Potential winners will be required to sign and return an Affidavit of Eligibility, Liability Release, and where lawful, a Publicity Release, within fourteen (14) days of notification, failing which the potential winner will be disqualified and another winner selected in the place of the disqualified person at random from all entries received. If any prize or prize notification is returned as non-deliverable, the potential winner will be disqualified and another potential winner will be selected in the original potential winner's place. By accepting the prize, the winner agrees that the Sponsors and those acting under the Sponsor's authority, may use winner's name, picture/portrait likeness and/or voice, for advertising and promotional purposes without further consideration, unless prohibited by law. BY ACCEPTING THE PRIZE, THE WINNER AGREES THAT THE SPONSORS, THEIR SUBSIDIARIES, AFFILIATES, ADVERTISING AND PROMOTION AGENCIES, AND ALL OF THE SPONSOR'S OFFICERS, DIRECTORS, EMPLOYEES, REPRESENTATIVES AND AGENTS, WILL HAVE NO LIABILITY WHATSOEVER FOR, AND WILL BE HELD HARMLESS BY WINNER FOR ANY LIABILITY FOR ANY INJURY, LOSS OR DAMAGES OF ANY KIND TO PERSONS, INCLUDING DEATH, AND PROPERTY, DUE IN WHOLE OR IN PART, DIRECTLY OR INDIRECTLY, FROM THE ACCEPTANCE, POSSESSION, USE OR MISUSE OF THE PRIZE OR PARTICIPATION IN THIS SWEEPSTAKES OR PARTICIPATION IN ANY SWEEPSTAKES OR PRIZE RELATED ACTIVITY. All entries become the sole property of Sponsors and none will be returned. In the event of a dispute, entries made by Internet will be deemed made by the authorized account holder of the e-mail address submitted at the time of entry. The "authorized account holder" is deemed the natural person who is assigned to an e-mail address by an Internet access provider, service provider or other online organization that is responsible for assigning e-mail addresses for the domain associated with the submitted e-mail address. A potential winner may be requested to provide Sponsors with proof that the potential winner is the authorized account holder of the e-mail address associated with the winning entry. If for any reason the Sweepstakes is not capable of running as planned, including due to infection by computer virus, bugs, tampering, unauthorized intervention, fraud, technical failure, human error or any other causes beyond the control of Sponsor that corrupt or affect the administration, security, fairness, integrity, or proper conduct of the Sweepstakes, Sponsors reserves the right in their sole discretion, to disqualify any individual who tampers with the entry process, and to cancel, terminate, modify or suspend the Sweepstakes. Sponsor assumes no responsibility for any error, omission, interruption, deletion, defect, delay in operation or transmission, communications line failure, theft or destruction or unauthorized access to, or alteration of, entries. The Sponsors are not responsible for any problems or technical malfunction of any telephone network or lines, computer online systems, servers, or providers, computer equipment, software, failure of any e-mail or entry to be received by Sponsors on account of technical problems or traffic congestion on the Internet or at any web site, any combination thereof, or otherwise, including any injury or damage to entrant's or any other person's computer related to or resulting from participation or downloading any materials in the Sweepstakes. Sponsors are not responsible for late, lost, illegible, incomplete, stolen, or misdirected entries. CAUTION: ANY ATTEMPT BY AN ENTRANT TO DELIBERATELY DAMAGE ANY WEB SITE OR UNDERMINE THE LEGITIMATE OPERATION OF THE SWEEPSTAKES MAY BE A VIOLATION OF CRIMINAL AND CIVIL LAWS AND SHOULD SUCH AN ATTEMPT BE MADE, SPONSORS RESERVES THE RIGHT TO SEEK DAMAGES FROM ANY SUCH PERSON TO THE FULLEST EXTENT PERMITTED BY LAW. A complete list of prize winners will be available at https://secure.mycalcas.com/gm . California firefighter Trent K., Portland Peace Officer William W. and Colorado Peace Officer James J. The Sponsor of this Sweepstakes is California Casualty Management Company, 1875 S. Grant Street, San Mateo, CA 94402. © 2019 California Casualty, "We Protect American Heroes".